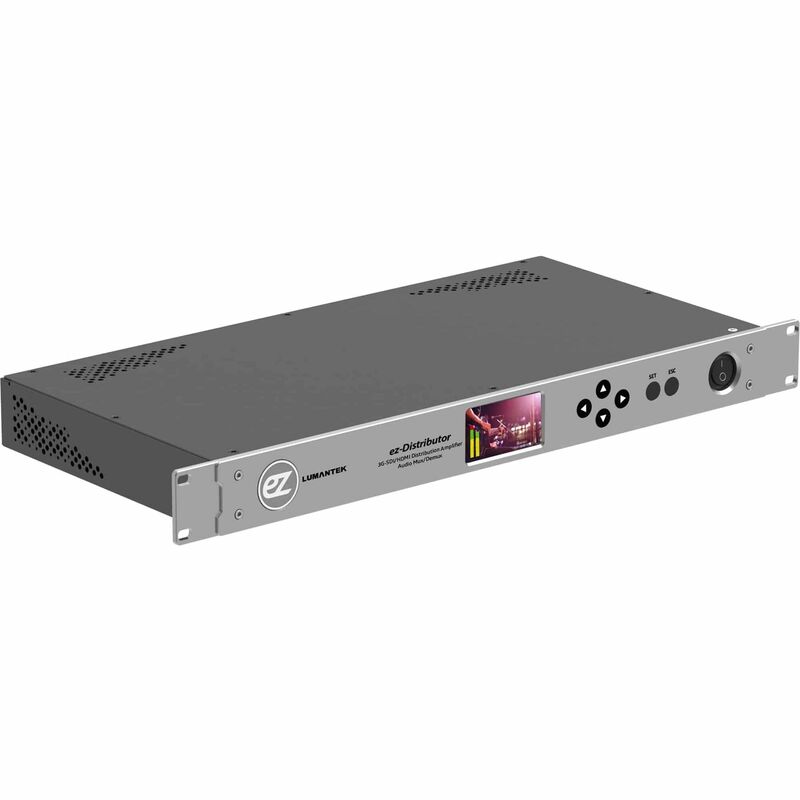 LUMANTEK's ez-Distributor is a 14 channels distributor in 1RU size. It has 1 x HDMI and 1 x 3G-SDI input, and 2 x HDMI outputs and 12 x 3G-SDI outputs. You can embed external audio and de-embed incoming video audio. 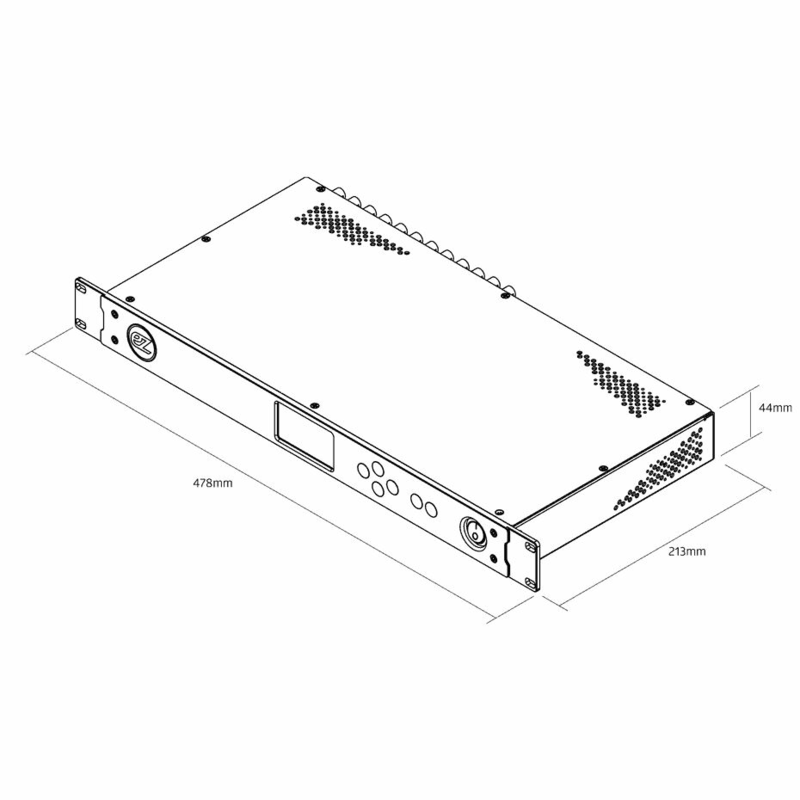 With the LCD screen, it is very easy to monitor what is being played through the distributor. 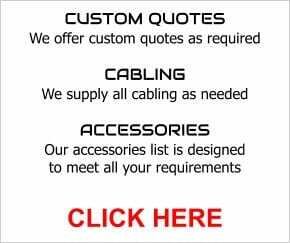 You have plenty of distribution ports with ez-Distributor. From 1 x 3G-SDI or 1 x HDMI, you can produce 12 x 3G-SDI and 2 x HDMI signals! If you wish to add an external audio to the video which is being distributed, don't worry. 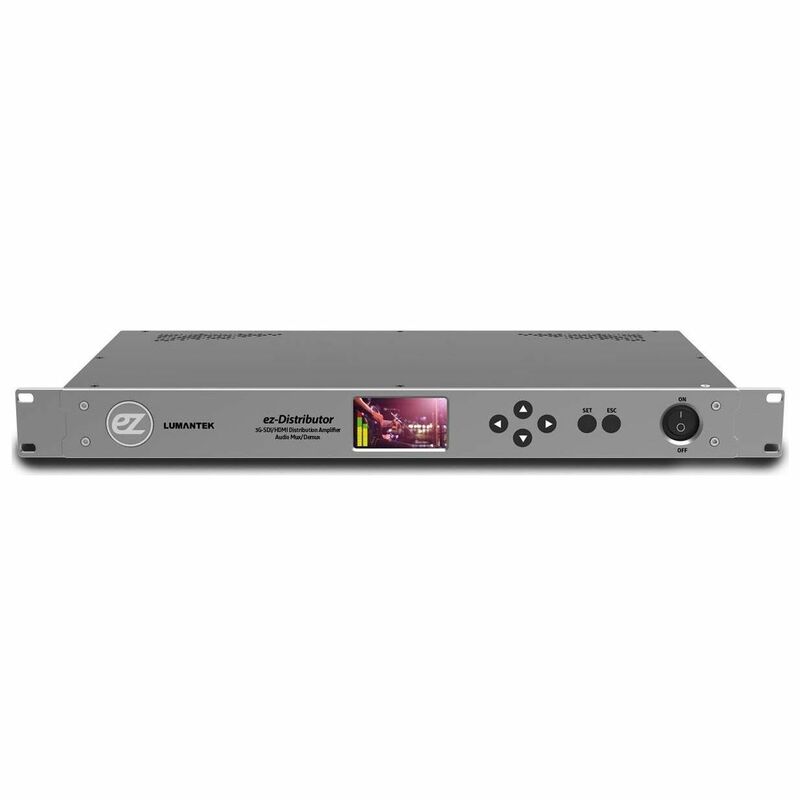 ez-Distributor, has a pair of XLR port for you to input a different audio. You can also take the sound out of the video. It is easy to check what is being played on the LCD screen. You can also check the audio bar on the screen to find out if the sound is played.